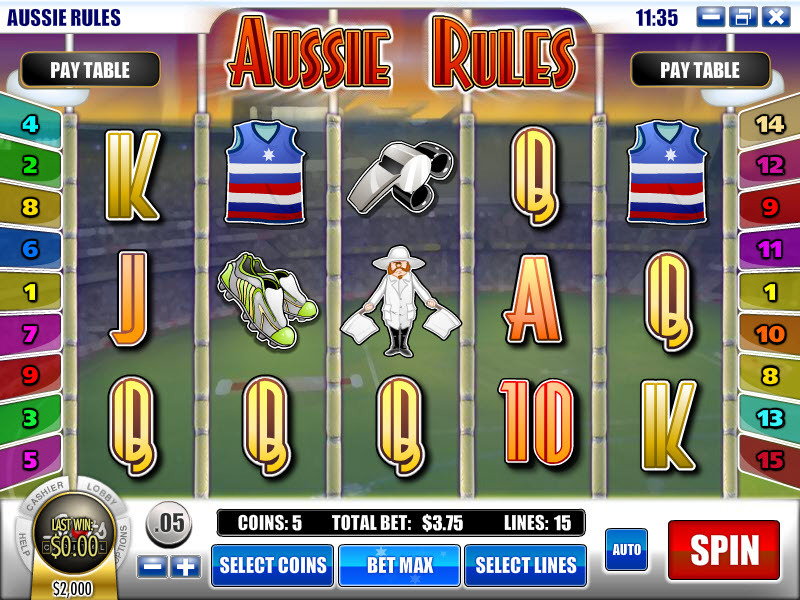 Overview: Inspired by Australia's national sport, Aussie Rules brings the game of Australian Rules Football ( or "Footy" as it is known ) to life with a brand new, fun, vibrant and easy to play slot game. 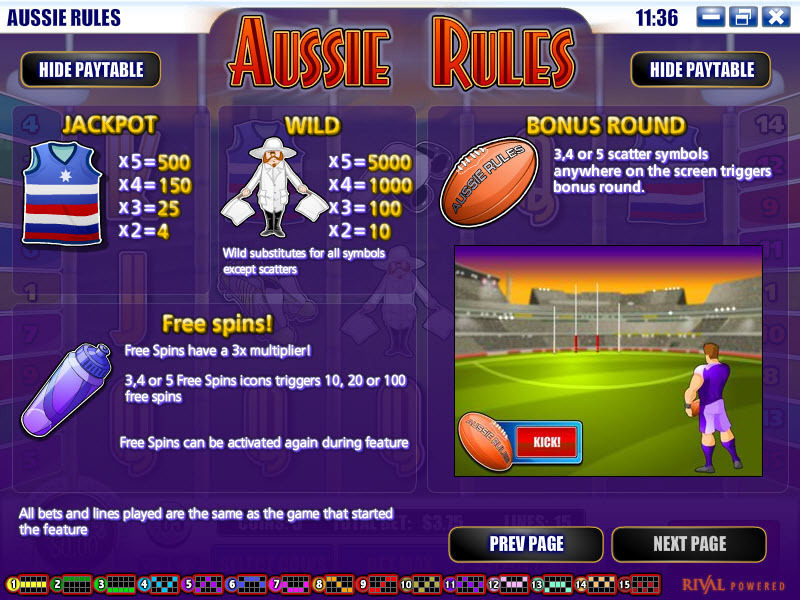 Spin to win with Jackpot Jerseys, Wild Umpires, Leaping Ruckmen and an assortment of Footy gear. Three or more Bonus Balls gets you down on the playing field in the bonus round where you'll win by kicking goals through the posts. Aussie Rules makes a five reel out of "Footy", Australia's favourite sport! 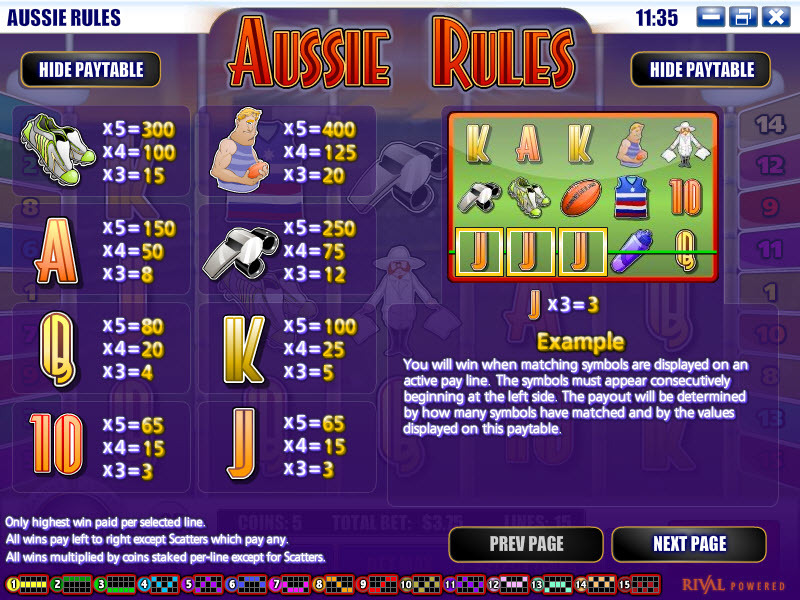 Similar Slots: If you like Aussie Rules, you might like these other Rival video slot machines: Diamonds Downunder, Future Fortunes, Gnome Sweet Gnome, Goldenman, Reel of Fortune, Zombiezee Money.